Oh the changing of seasons! 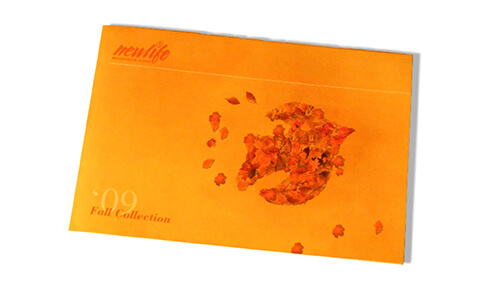 The new look for the 2009 Fall Brochure that was incorporated into Newlife Industries became a huge leap compared to traditional methods previously done for the company. 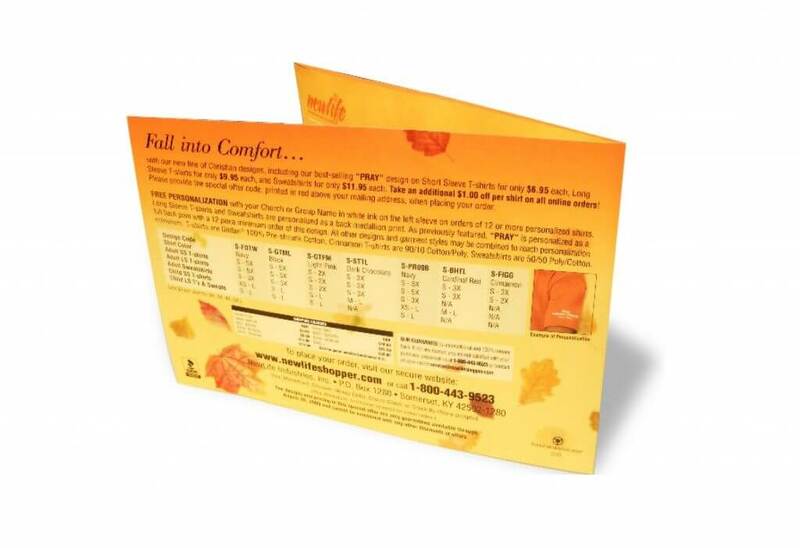 In essence we wanted to represent the brand on the cover of the brochure while thematically embracing the changing of the seasons for the year. The changing of the leaves in the nearby forest of the Kentucky Mountains of yellows, oranges, browns, and red distinctly resembled the feeling of calm warmth. That theme was the primary color palette which really brought out stark vision in the minds eye reminding people of experiences of times when things are wholesome in memories past, present, and future. The unorthodox falling of the leaves is what we really emphasized on through out the brochure to make it really feel as if you were underneath the trees in the changing forest really in the moment. Even down to the catty positioning of the shirts we incorporated constant movement in every aspect of the layout in design. 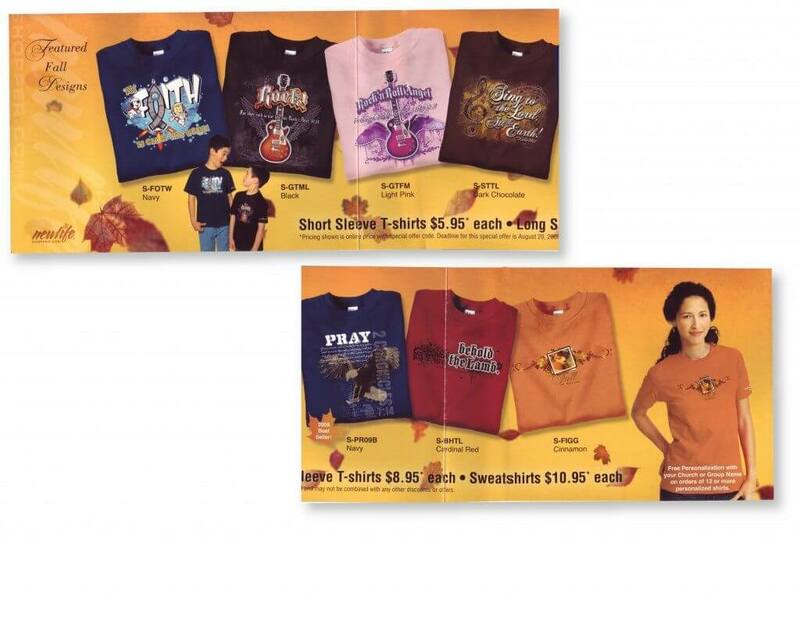 Newlife Industries already had the designs in which they wanted to use for the shirts in this edition which they felt were the strongest they had done including several designers both locally and regional contributed in the amazing illustration concepts. Also using photography elements of people is something we rarely do but in this case we though it was something to be explored which really added a nice touch to the overall feel. “You are a true designer” said Richard Humble the founder of Newlife Industries “production artists are a dime a dozen” just before presenting a rather impressive letter of recommendation. This display of gratitude definitely makes employers like Newlife live up to their name and ongoing success.